How amazing is the wireless life? Without even having to get off our seats, we get a lot of stuff done. We can talk to people, send files and data, and print things out in a jiffy. Sometimes, though, everything is not as rosy. There are technical issues that may come in that could force you to look through and find a solution. For example, your printer may stop responding without warning. There could be a number of reasons behind this. The most common one is that the printer may not be online anymore. How do you know for sure? You ping the printer. How to Ping a Printer? 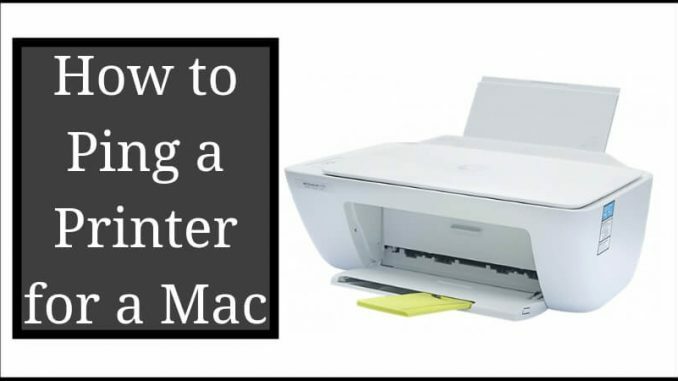 In this article, we are going to learn how to ping a printer for a Mac. You will need to know the IP address of your printer. More often than not, even the network name will suffice. Now, go to Network Utility in the Utilities option. If you are unable to locate this, go to the Finder and search for it. Here you will see a Ping tab. When you click on this tab you will be prompted to write down the IP address of your printer. Paste it or type it out and click on Ping. 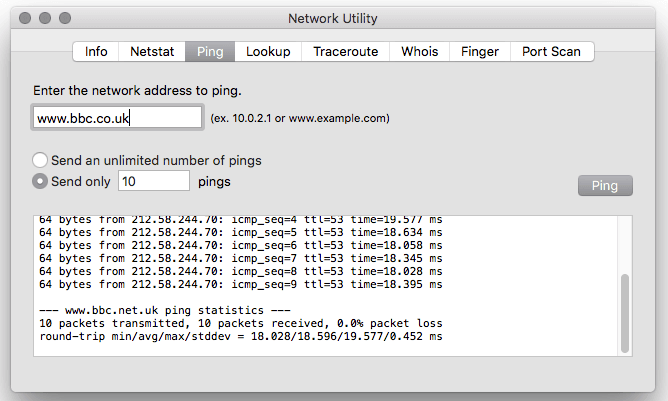 Stop the pinging after a few seconds. You will get a diagnostic report, which will tell you if your printer is receiving the data packets that it sent. Packets are dropped (not received) when the printer is offline. If only a few packets dropped instead of all, then the problem is with the printer or the system. Sometimes, none of the packets drop (which means the printer is online) and the printer still does not connect. In these cases, you need to dig deeper and understand what the problem is. Learning how to ping a printer will help you go through the basic troubleshooting without hassle. Knowing if your printer just went offline or if the problem is bigger than that is very important. Otherwise, you will end up realizing much later that you worried about something very small! We hope this guide helped you and gave you the answer you were looking for. Please let us know your thoughts in comments.